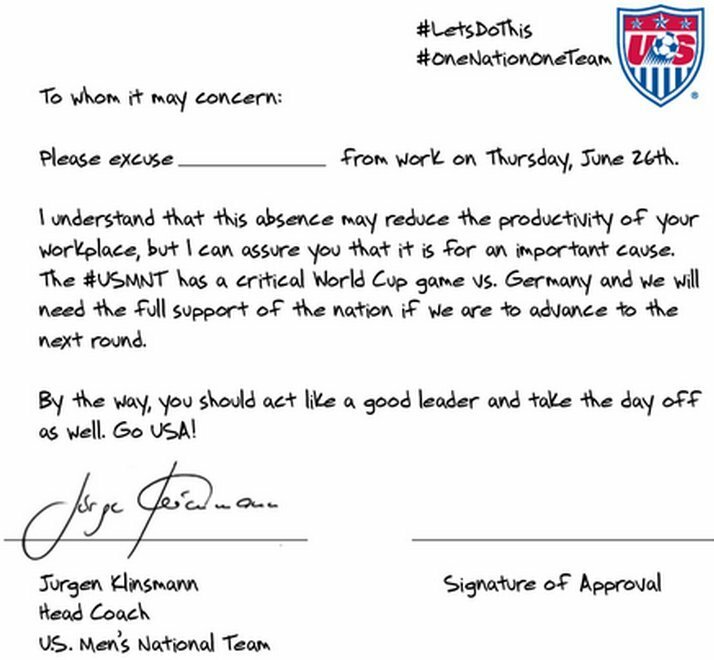 Really want to watch the U.S.-Germany game on Thursday, but don't know how you're going to get off work? The U.S. men's soccer team has you covered. If your boss doesn't let you root for your country after reading that, well, then maybe you need to find a new boss. The game is at 12 p.m. EST.